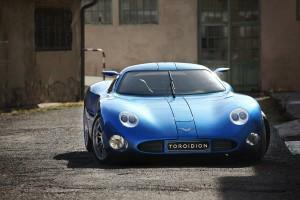 The Finnish electric car company Toroidion Ltd has collected a million euros in financing from individual investors. Through Green Speed Fund’s crowd funding more than 240 small investors have grabbed the opportunity to be part of a new Finnish success story, along with angel investors and larger institutional investors. Toroidion share is still ongoing in Green Speed Fund. Image by Toroidion. – We are extremely happy that so many investors have already demonstrated confidence in such a completely new, market-changing product. This is perfect fuel to advance the product development, report Toroidion’s Pasi Pennanen and Green Speed Fund’s Martin Sundman. Green Speed Fund’s share offering is still ongoing. In addition, a share offering targeted towards institutional investors is also ongoing, as are discussions about opportunities in many other directions. The Toroidion engineering team has produced the first proof-of-concept electric supercar powered by a revolutionary high-performance powertrain. The Toroidion 1MW Concept car is street-legal and has been designed, developed and built entirely in-house in Finland.